Od 01. 01. 2005. Češka Republika ima potpuno profesionalnu vojsku. Zadnji vojni obveznici su napustili vojsku 22. 12. 2004. Vojna obaveza i civilno služenje ukinuti su promjenom Zakona o vojsci izglasanih 24. 09. 2004. od strane Doma zastupnika Češkog Parlamenta te 04. 11. 2004. od strane Senata. Tim je promjenama odlučeno da se vojna obaveza uvodi samo u slučajevima opasnosti po nacionalnu sigurnost ili prijetnje ratom. Namjera je u 2008. imati vojsku od 26.200 vojnika i 8.800 civilnih službenika. 01. 01. 2006. 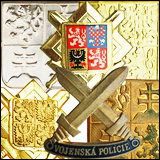 Vojska je imala 39.084 pripadnika (vojnika 23.092 te 15.992 civila). 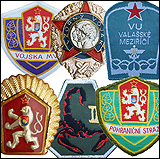 Since 1 January 2005 the Czech Republic has fully professional armed forces. 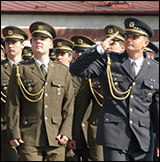 The last conscripts left the military on 22 December 2004. 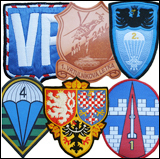 The conscript duty and civilian duty have been abolished by a Military Act amendment passed by the House of Deputies of the Parliament of the Czech Republic on 24 September 2004 and by the Senate on 4 November 2004. As stipulated by the current legislation, military duty will be required only in situations of a threat to national security or state of war. In the context of the recent extensive reform of the armed forces the proportion of professional soldiers and conscripts had gradually changed in favour of the former: in 2003 for the first time the professional soldiers outnumbered conscripts serving in the armed forces. After the abolition of the conscript duty, the reduction of personnel numbers has continued. 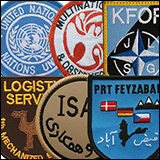 The target numbers are 26,200 soldiers and 8800 civilian employees in 2008. 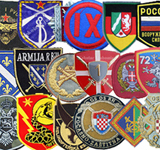 As of 1 January 2006, the ACR had 39,084 personnel (23,092 professional soldiers, 15,992 civilian employees).